Ezgi Akyol and Hasan Özgür Top will share their opinions about economic and social background of ‘symbol’ with audience after the screening. Hasan Özgür Top (Ankara, Turkey, 1987). 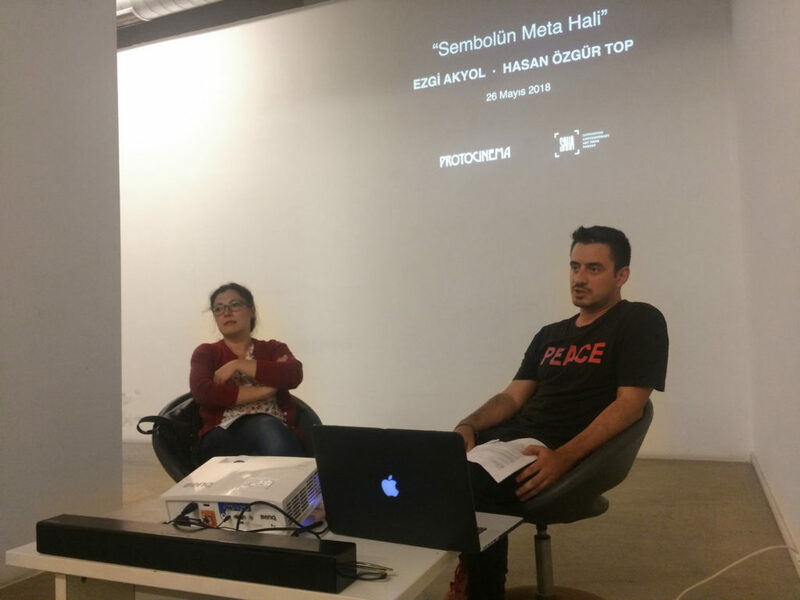 Selected exhibitions include The Atelier, Protocinema at Proyecto Amil, Lima; Replaced, Rampa, Istanbul; If you can’t go through the door, go through the window, Alt Art Space, Istanbul; The Ways We Stand By, Protocinema Emerging Curator Series, Proto-5533, Istanbul. Top holds an MFA at Marmara University, Institute of Fine Arts, Painting, Istanbul, 2015 and his BA, Marmara University, Faculty of Fine Arts, Painting, Istanbul, 2014-2008. He lives in Istanbul, Turkey. Ezgi Akyol (Ankara, Turkey, 1986) graduated from the department of Political Science at Galatasaray University. She wrote her MA thesis at METU on child workers who work in apparel and metalworking sectors. Still, she continues her studies in PhD program in the department of political science at Istanbul University studying on formation of the state and social classes in Turkey.